In another post, I introduced another paid survey website, Qmee. You might wonder if there would be a higher paying survey. Yes, Valued Opinions is one of my frequently using paid survey websites. I tried to find websites like Valued Opinion, but couldn’t so far in terms of profitability. In the website, many surveys pay over $1 while Qmee, in many cases, pays less than $1. 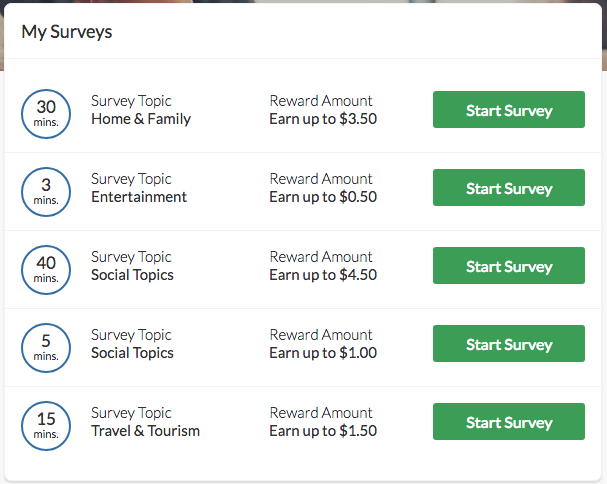 Valued Opinions is a survey website that also gives you a cash reward instead of points, and you can exchange it with gift cards. This website has been one of my favorites because it gives you a relatively higher cash reward compared to other survey websites. Have a look at the surveys that showed up in my list, you can get a sense of how much they would pay you. You may think that the amount is still small. But, considering a survey of Qmee, another survey site that I reviewed, usually gives you less than $1, that is not very small. Let’s have a look at what this website looks like and types of reward it provides. If you see the main page, you can find that I have earned $15.75 so far. Unfortunately, Valued Opinion does not have an option for you to turn this into actual cash like transfer to Paypal. Also, the minimum threshold for the cheapest gift card is $15. But, the gift cards they have are quite useful. Let’s see what they offer as a reward. As seen above, Coles and Woolworths gift cards can be useful. I also like JB HI-FI, MYER, App Store & iTunes, and Bunnings. They are all quite practical for your daily life, and I am very keen to earn more to get one of those. As mentioned above, I like Valued Opinions since they pay relatively higher cash. I’ve tried Qmee and Swagbucks, but the level of cash reward has been smaller than that of Valued Opinions. If you have a good profile that frequently meets the requirements of surveys, I believe that you can accumulate not a small amount of cash reward. For this, I recommend answering profile surveys as many as possible. If not, you will frequently get rejected by surveys. When I looked at many other survey websites, they tend to use their own point system. For example, in Swagbucks, 2,500 SB is equivalent of $25 Paypal. In Toluna, 61,000 points is 20 AUD in Paypal. Unlike those websites, Valued Opinions is using easy-to-understand cash points. Many survey sites don’t just give you cash as soon as you earn it. They set a minimum threshold to make you constantly take their surveys until you hit the minimum amount. If you don’t like to be bound by any minimum amount, you can have a look at my review on Qmee. The 12 types of reward that I showed you above are all they have at the moment. 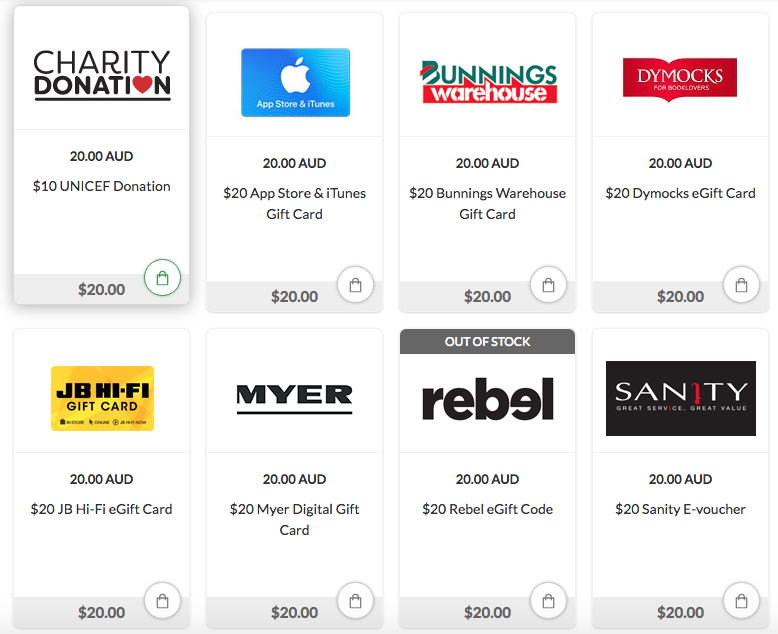 Other popular survey sites like Swagbucks and Toluna have many more gift card options. But, I believe that doesn’t matter if Valued Opinion has gift cards you want. I believe that Valued Opinions can potentially be the fastest earner if you have right profile since their reward is relatively higher than other surveys. I would recommend spending some time to build your profile and keep finishing available surveys. I think that this website can be a faster earner for you.